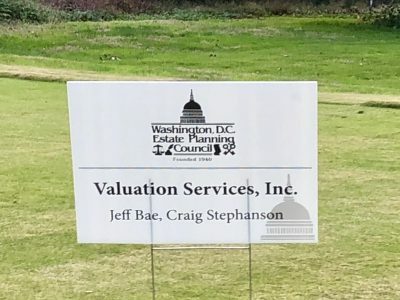 2018 WDCEPC Annual Golf Tournament at Kenwood Country Club - Valuation Services, Inc.
VSI was one of the sponsors for the DC Estate Planning Council Annual Golf Tournament held at Kenwood Country Club (Bethesda, MD). It was cold and windy out but we had a fun time. Thanks to Ware Palmer, Will Hellams, Craig Stephanson, and Jeff Bae for joining the team!